ARAB JAZZ, CUBAN NOIR & A REVOLUTION BETRAYED…. this summer’s reading has been heavy! It kicked off with Marlon James’ A Short History Of Seven Killings – see the earlier post on that devastating tome – and that was followed up with Karim Miské’s award winning banlieue based thriller Arab Jazz which was touted as required reading after the Charlie Hebdo murders and had just come out in paperback. Well, as I write this the press is still reflecting on what might have happened if Ayoub El-Khazzani’s Kalishnikov hadn’t jammed on that train from Brussels last weekend and if we are looking for insights into the forces that drive such an individual, who claims to have found his AK-47 in the park, then Arab Jazz is not really the place to look. However, if you enjoy the twist and turns of a thriller, a murder mystery, which is set in the marginalised racial melting pot of the Parisian suburbs with a central character, Ahmed Taroudant – a traumatised recluse of middle eastern origin – and a couple of intriguing detectives, Rachel Kupferstein and Jean Hamelot, this is well worth a visit. From the first description to Ahmed’s flat we are drawn into his world. There are books, hundreds of books, all of which he’s read, plus 3 cds – Fela, Gainsboug and French polymath Boris Vian. Along with murder there’s also a new drug on the block. It’s a contemporary and offbeat tale that weaves a web between a crew of alienated hip-hop headz, the local fundamentalist imam, a dodgy barber, a leading light in the Jahovas Witnesses, a sleazy brocanteur, an “ulta Orthodox Jewish Rasta’ and, of course, a couple of corrupt cops. Arab Jazz offers a ground level view of a city, a nation grappling with its own diversity. 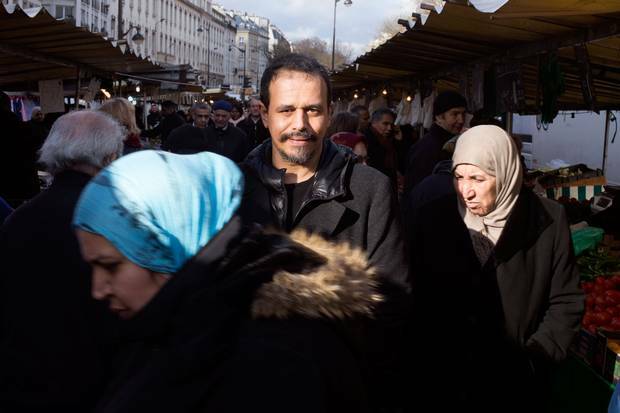 Miské’s writing comfortably reflects the contradictions of community and life in the banlieue and the lack of prospects and hope that confront the youth on a daily basis. 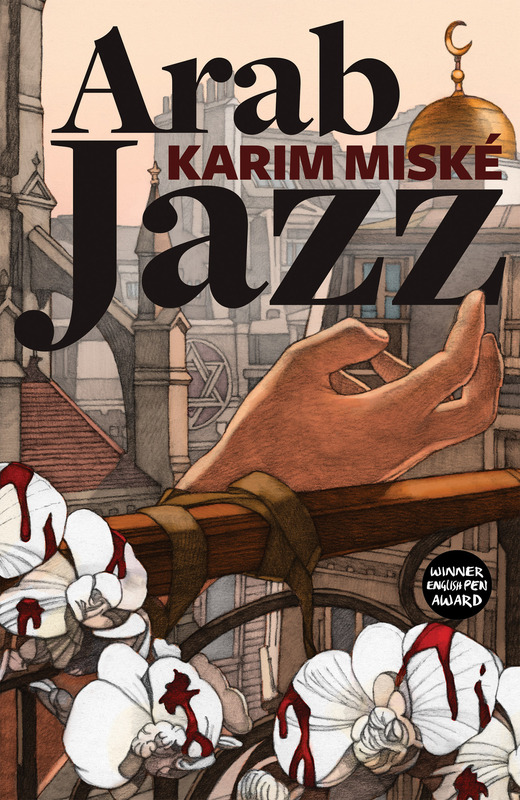 It offers a ground level view of a city, a nation grappling with its own diversity and, while there’s not a hint of jazz anywhere in the book, Miské’s tale gathers splendid momentum as it spirals towards resolution. Basically, I can’t resist a good thriller and after Arab Jazz I was tempted to acquire the Walter Mosley’s latest Leonid Mcgill mystery. However, I got waylaid by the discovery of a Cuban thriller writer I found on the Havana Cultura website. 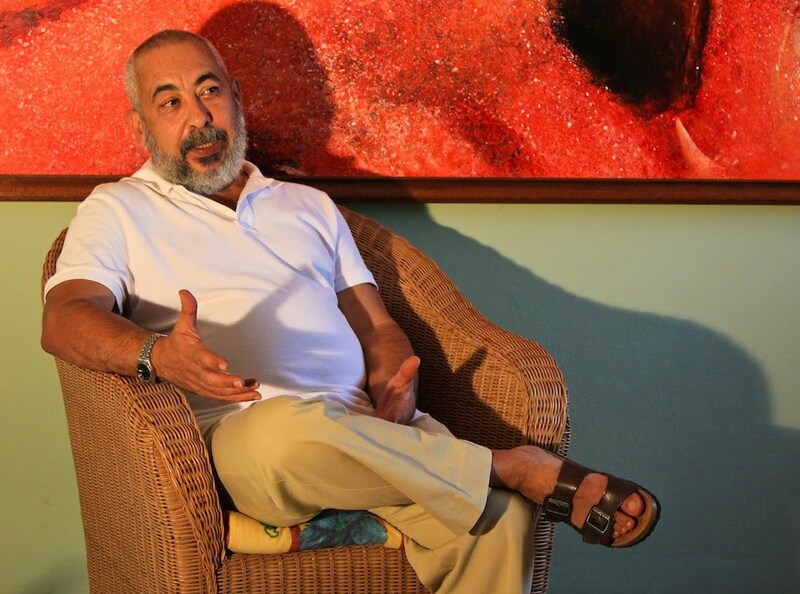 I invested in Leonardo Padura’s first novel – Havana Red: A Mario Conde Mystery – and was immediately transported to a Cuba that I hadn’t experienced since I’d read the Pedro Juan Gutierrez’s disturbing Dirty Havana Trilogy. The discovery of a dead transgender man in a local park is a launchpad for our underpaid, impoverished and politically disillusioned detective to engage with an underground literary community where rivalries sparked and maintained by the dogma of the Communist Party lead to shame, hopelessness and death. Only now are we beginning to get a real picture of what it was like in 1990’s Cuba and the physical suffering and hardships that its people went through post Glasnost and Padura’s book led me me to check out what else he’d written. 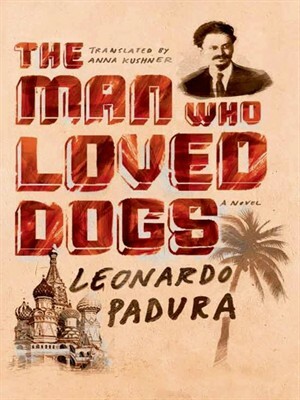 I was immediately drawn to The Man Who Loved Dogs, a story about a despondent Cuban writer relegated to writing stories for the veterinary magazine who encounters a mysterious man on the beach walking two Russian wolfhounds. At the core of this 572 page book is the exile and assassination of Leon Trotsky, and as an ex-Communist Party member with no illusions about Stalin I was keen to read a novel about Stalin’s most vehement critic, penned by a writer who had grown up in a country shielded from the trials and the tyranny of Stalin’s Russia. As a fledgeling student activist I read Trotsky’s Permanent Revolution to try and get an insight into why there was so much friction between the leftist political parties and organisations. It didn’t really help. The conflict between Stalinism and Trotskyism was irreconcilable. Too much water under the bridge. Also, I wasn’t interested in battling “Trotskyists” – Margaret Thatcher and Norman Tebbit were on the move, the NF were rife in East London, youth unemployment was severe and the globally it was kicking off in Latin America while the struggle against apartheid was intensifying. Besides all that, there was Black Nationalism and free-jazz, the music of of Curtis Mayfield, the drums of the Nyabinghi and arrival Punk rock to be reckoned with. It’s with hindsight and the passing of a more than a couple of decades that I was drawn to Padura’s book. It would flesh out the story that I’d read in Barbara Kingsolver’s excellent The Lacuna and as only fiction can I hoped it would make human the reality of Trotsky’s exile and fundamentalism of those hardened by the struggle. I was not disappointed. 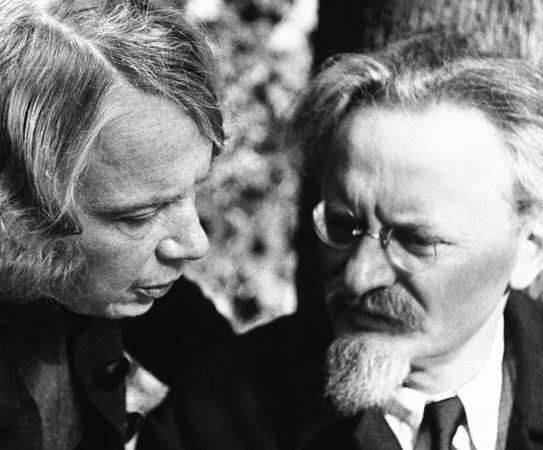 Padura reveals the physical and psychological impact brought about by the systematic mental and physical destruction of those that comrades, friends and family that Trotsky and his wife, Natalia, had fought alongside and loved. From that first encounter on a deserted Cuban beach were are initiated into the intricacies and betrayals of the Spanish Civil and introduced to the central character of this story – Romon Mercarder, the man who eventually assassinates Leon Trotsky/Lev Davidovitch. We get follow the Trotsky’s into exile, into forced isolation, from the snowy wastelands of Kyrgystan to Turkey to Finland and finally to Mexico and the house they share with the painters, Frida Karlho and Diego Rivera. 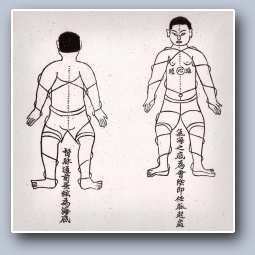 Padura’s research is thorough. History unfolds interspersed with Moscow show trials and betrayals. War looms large as Hitler and fascism take power in Germany. At that point it seems that Trotsky is so isolated and irrelevant in face of catastrophic world events that one has to see the madness in Stalin’s final order – the last surviving Bolshevik from Lenin’s inner circle had to die in order to make Stalin’s deification complete. Towards the end of the book the Cuban reflects on how, for his generation, the future of humanity rested on socialism even if it was “a little aesthetically ugly” and “incapable of, shall we say, of creating a song half as good as ‘Rocket Man'”. As Cubans they had been hermetically sealed off from the homicidal fury of the Soviet work camps, the trials, the persecution of non conformists and the religious… from Stalin’s megalomania. They had worked hard and paid a heavy personal price to maintain their own Cuban revolution and it was with great difficulty that they managed to comprehend why the great Soviet revolution, “all that perfection had collapsed like a giant merengue”. There is a lot of pain in this book but it’s a long and easy read. The journey was one I have been happy to take, it was an enlightening and definitely one I’d recommend to others. Life goes on. Capital-ism and schism still prevails and ironically, just as The Man Who Loved Dogs dropped through my letter box (I’ve got a big letter box) the language of the left, of socialism and social justice, was about to be revived via a dedicated old skool leftist MP – Jeremy Corbyn – standing for leadership of the Labour Party. His mission was to force a debate that wouldn’t have happened had he not stood. The freedom to challenge those in power – the people that we elect and employ to do a job – that’s something worth fighting for. The lessons of near history that are revealed in The Man Who Loved Dogs are harsh and, in my mind, simply demand that we pursue creative, radical and humanitarian ideas and activism that better our lives and the lives of others while addressing the long term future and survival of the planet. This entry was posted in Deep stuff and tagged Arab Jazz, Banlieue, Charlie Hebdo, Communism, Frida Karlho, fundamentalism, Karim Miské, Leonardo Padura, Natalia Sedova, Ramon Mercarder, Russian Revolution, Spanish Civil war, Stalin, Trotsky. Bookmark the permalink. Arab Jazz seems a must, the Boris Vian reference particular excites. Merci PB.